I just got back from Scotland, if you follow me on Instagram you might have seen the pictures. My husband and I liked Scotland a lot and we’ve managed to see quite a few places in a few days. 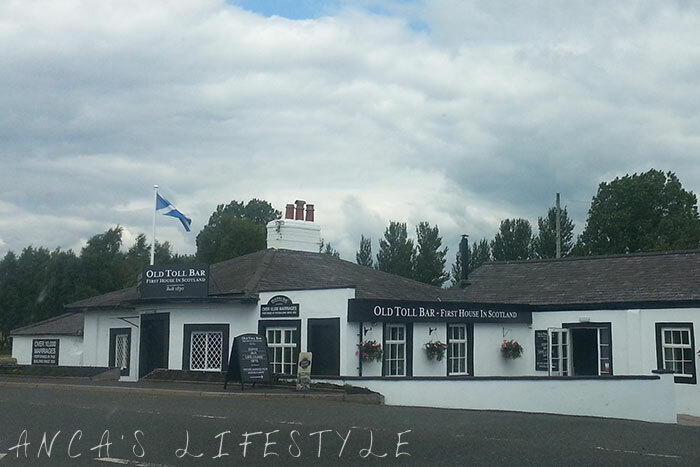 We’ve been to Glasgow and, of course, Gretna Green. Because we didn’t have a lot of time, we’ve decided to go to see the Kelpies at night. It was a light rain when we got there, it was late, windy and it’s October, we were both thinking we’ll be the only ones. Of course we were wrong, there were quite a few people there. I think it’s wonderful. 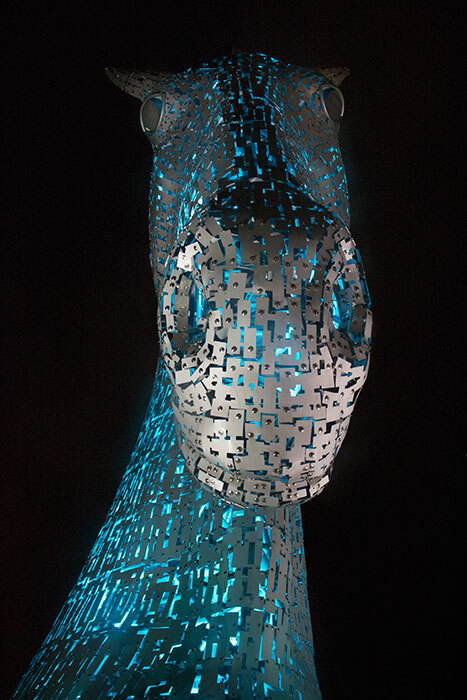 Scottish Canals chose the name Kelpies for the sculpture displayed in Falkirk and it can’t be more appropriate. 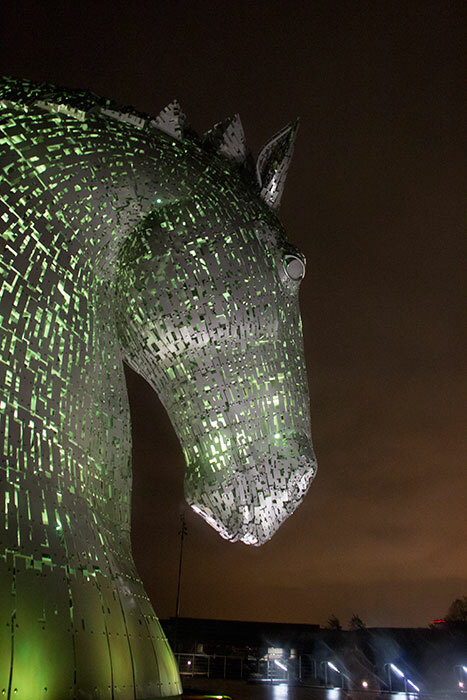 Kelpies are shape-shifting water spirits and they can be seen as horses. These mythological creatures have the strength of 100 horses. As heavy horses were used for pulling wagons, barges and coalships, an equine monument was the obvious choice. 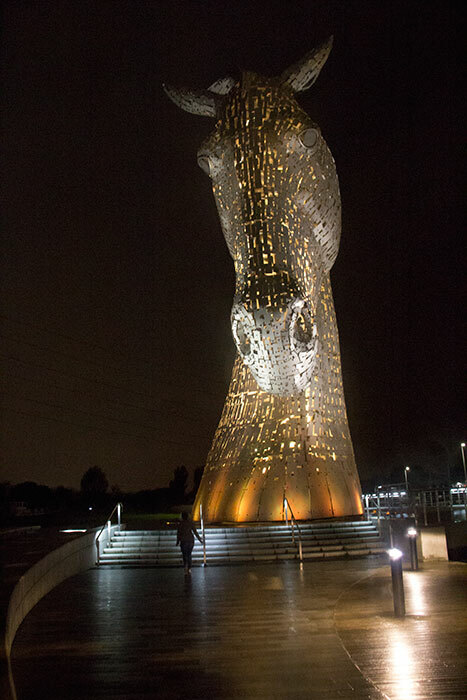 The Kelpies sculpture was designed by Andy Scott, a very talented artist. The sculpture is now the best-known public artwork in Scotland and it was admired by almost two million visitors since their inauguration, only a couple of years ago. It’s the biggest equine sculpture in the world. They look different, the artist managed to capture their personality. The construction of The Kelpies was fast, it took only 90 days, in 2013. The Kelpies weigh 300 tonnes each, they are 30m in height and they were made from 928 unique stainless steel skin-plates. A time-lapse film with the construction was made and it can be seen on their website. At the inauguration ceremony the two heavy horses that were the life models made an appearance too. 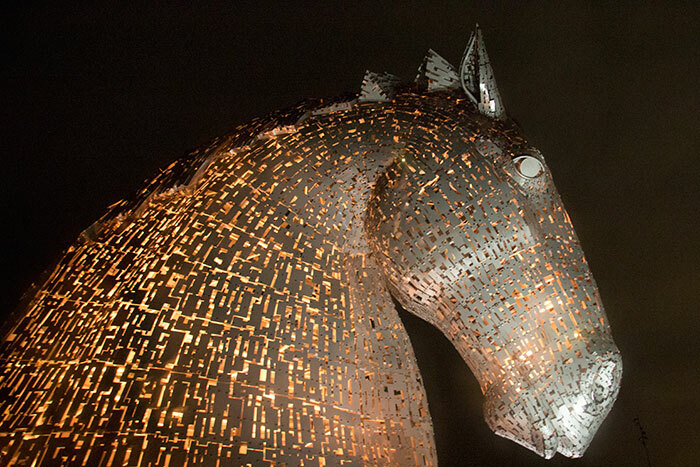 In April 2014 the Kelpies were open to the public. The Canal was extended and a turning pool was added near the Kelpies Hub. The following year a visitor centre was constructed. Guided tours can be booked during the day and it’s only £7. I would love to visit the Kelpies again during day time and go on a tour. My husband took this picture to show how tall they are. The sculptures are displayed in The Helix, a 350 hectares ecopark part of the Falkirk Greenscape Initiative. In 2005 the Big Lottery launched the Living Landmarks fund to help communities with their local environment. Falkirk Council, Central Scotland Forest Trust and Scottish Canals made a plan for a greenspace that would connect 16 local communities. 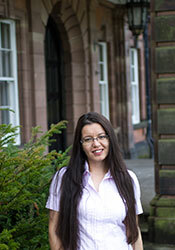 The Helix idea was submitted in 2006 and the Big Lottery fund awarded an impressive £25 million grant an year later. 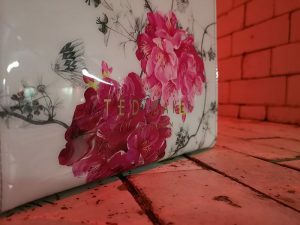 The next two years the design and the business plan were made, a requirement for the project. In 2011 the work began and in a few months part of the park was opened. Construction continued and in 2013 Helix Park was opened. I think the park must be popular with locals and tourists. Beside the Kelpies, the Helix has a lagoon, a play area, a Café, extensive pathways and 14km of them are lit with LED lights. Nordic walk and community projects are a big part of the Helix too. There are plenty of volunteering opportunities and a 16 miles cycle route. Have you seen the Kelpies? ARIA is the Angel of the Nauld. 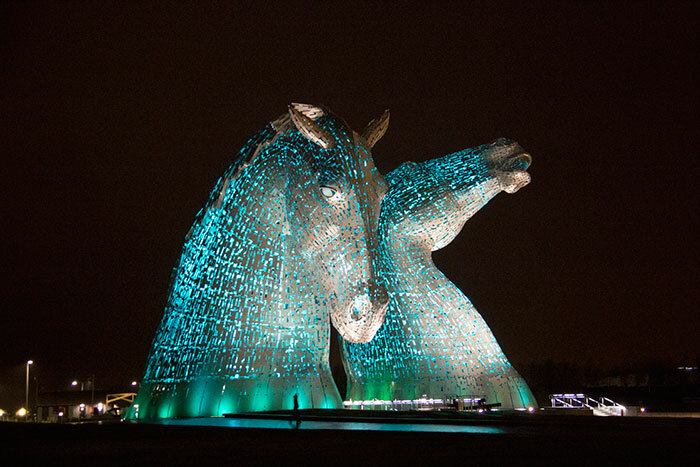 Cumbernauld, where we live is very closeby to her.. Well worth taking the children out for a drive at night to see both The Kelpies and Aria in all their colourful beauty. You can drive in very, very close to the Kelpies in the Car Park. 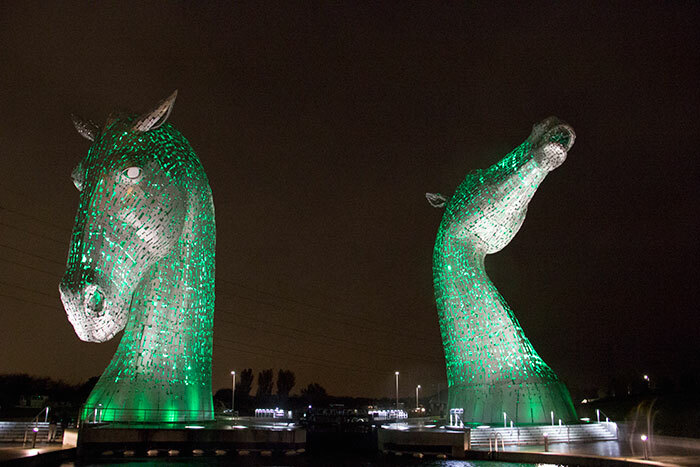 Take a flask and sandwiches & watch these beautiful HUGE HORSES HEADS change colour. The kelpies are amazing! I visited them earlier this year for the 1st time! 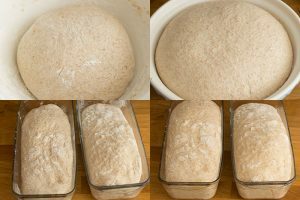 Wow, now they look beautiful and enormous. I’ve not heard of those before but it would be lovely to go and see them. They are so beautiful and I’d never heard of them before so thank you for sharing and I love the folklore too. Happy Halloween! I’ve never even heard of The Kelpies but they look beautiful, sounds like a great place to visit!